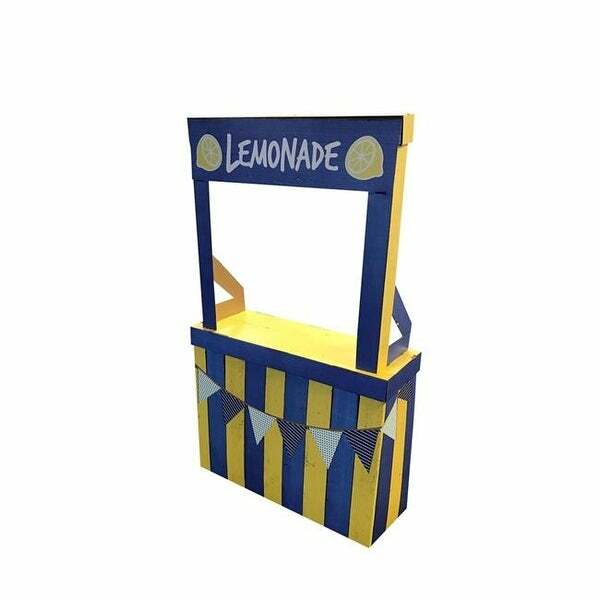 Your little entrepreneur will be all set in no time with this fun Lemonade Stand! Both lightweight and easy to assemble, this cardboard booth is perfect for attracting customers, photo ops, or pretend play. Note: Not designed for heavy loads. Size is: 35" W x 13" D x 58" H .